We are so thankful to the 20 horse folks that came to our Horsekeeping in the Winter Wet farm tour. It was a BEAUTIFUL day, so we knew that some would choose to go riding instead of joining us. For those of you who missed it, Dr. Cassie Torhorst of Mount Vernon Veterinary Hospital shared her knowledge and experience with keeping hooves and skin (somewhat) dry and clean during our very long wet season, and nipping potential winter diseases in the bud. 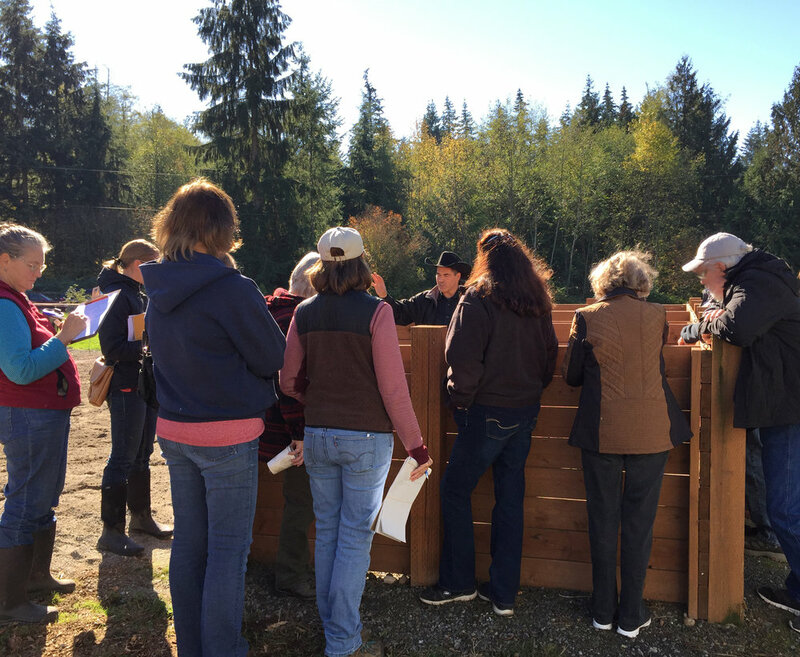 She and our Sound Horsekeeping Program Coordinator, Michael Hipp, shared tips to combat horse boredom and how to deal with excess energy when the day lengthens but the weather hasn't yet improved. Lyn Rosgaard, our gracious host and a former emergency manager, encouraged all of us to prepare to be on our own for 2 weeks in case of disaster (that's a lot of water to have on hand for horses! ), and to have evacuation site backups lined up. She said that it's not unheard of that evacuees are forced to leave their emergency shelters. Do you know where you would take your horses and other animals if the fairgrounds weren't accessible or safe? Lyn then gave us a tour of the parts of her farm that help her manage mud and manure, and save her pastures, including her excellent heavy use areas and her manure composting bins. She and Michael shared information about how they were constructed, options for other types of situations, and funding that is currently available for certain projects in the Lower Stillaguamish PIC Project area (see map). 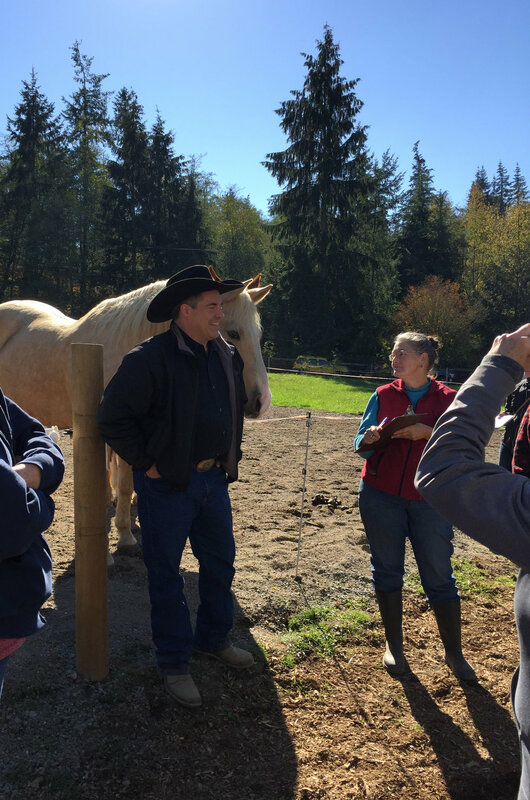 Even if you don't live in this area, please contact Michael Hipp at 425-377-7019 for advice and/or a free site visit to help you manage mud and manure for your sanity, your horses' health, and the health of the environment around you.